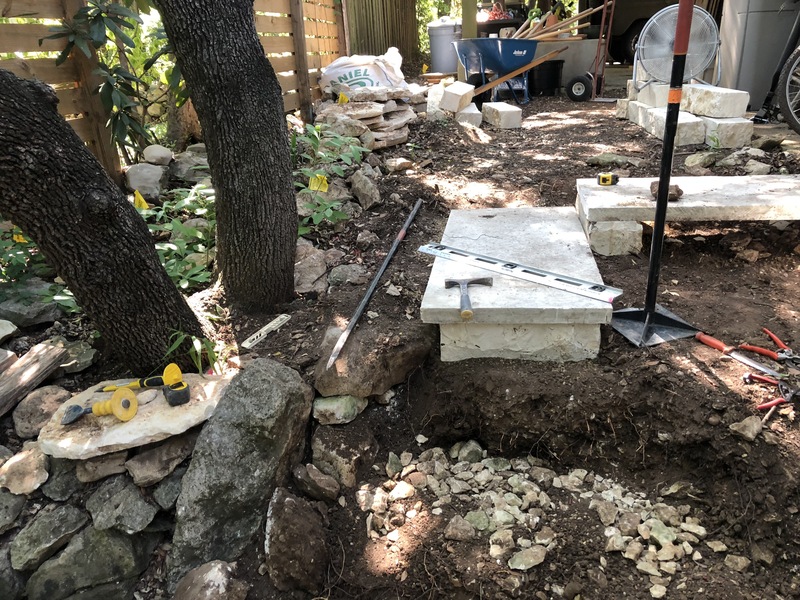 As is often the case, we start small with a client and are asked back to do more sometime later. 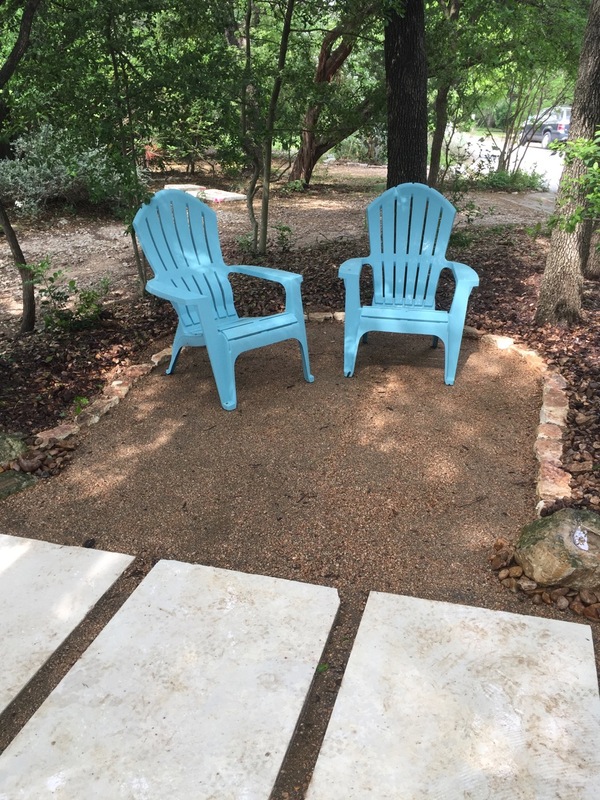 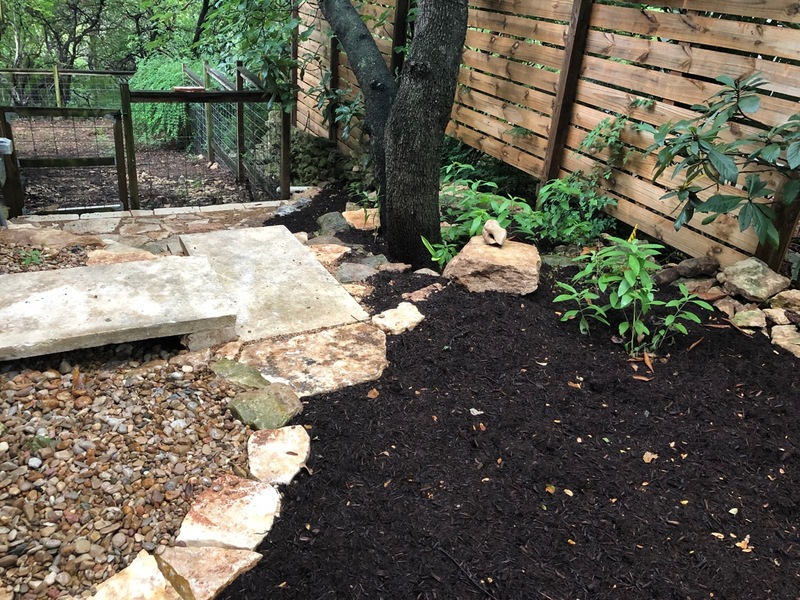 It was no different with Nicole’s Rollingwood yard. 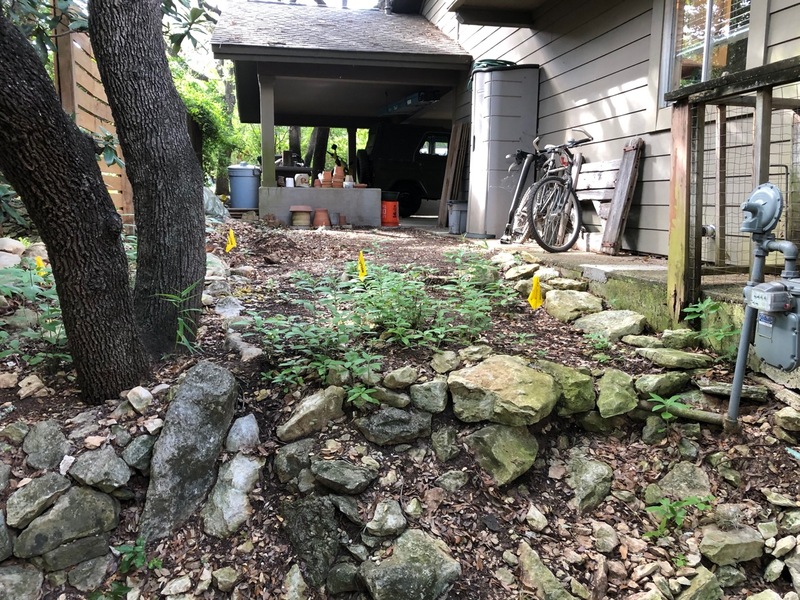 At first we merely cleaned up some overgrown vegetation and reworked some stone in the back yard. 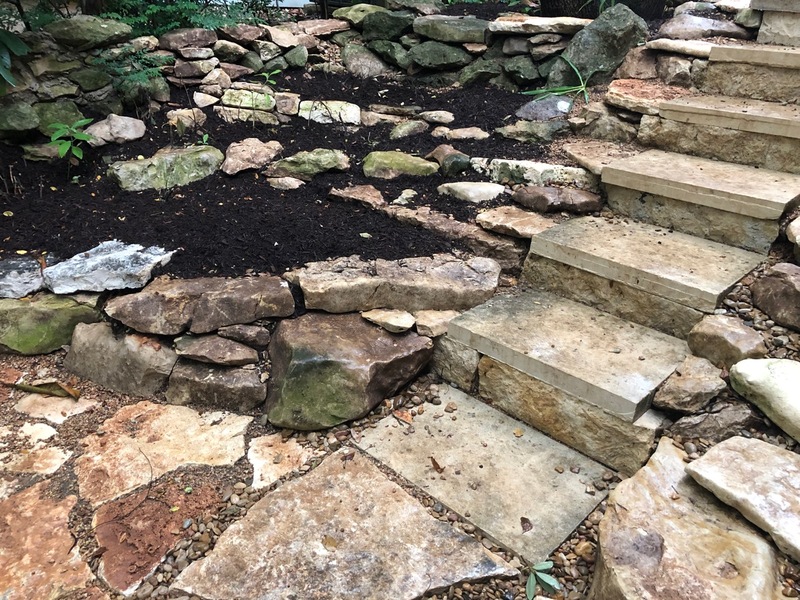 Eventually, we added a modern approach with Leuder’s stone to the front, as well as a forest sitting area. 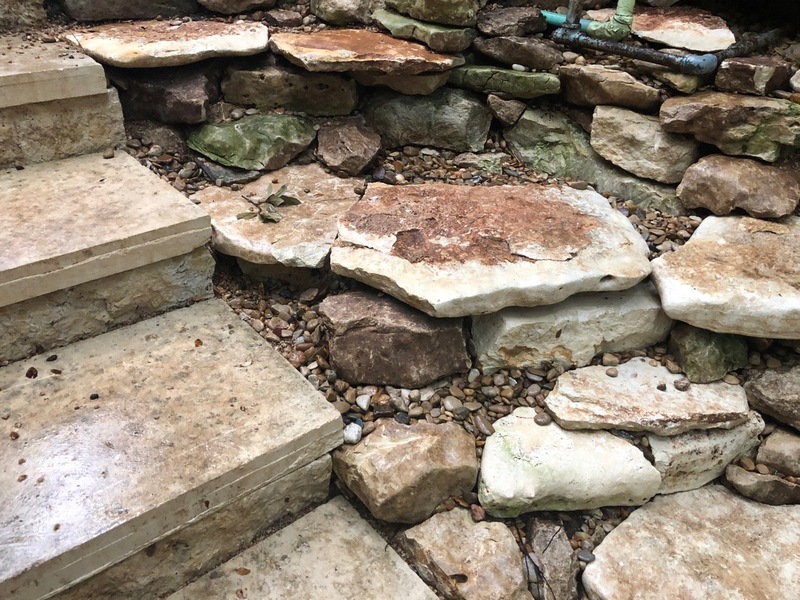 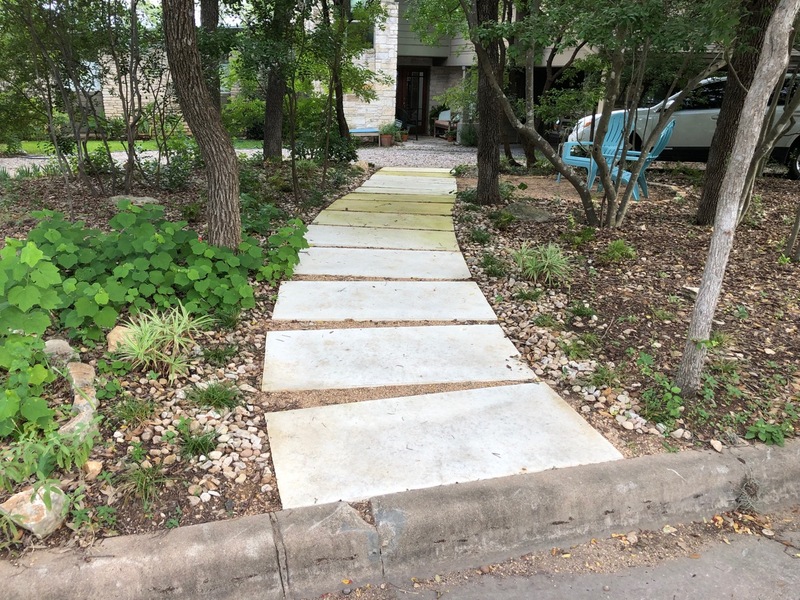 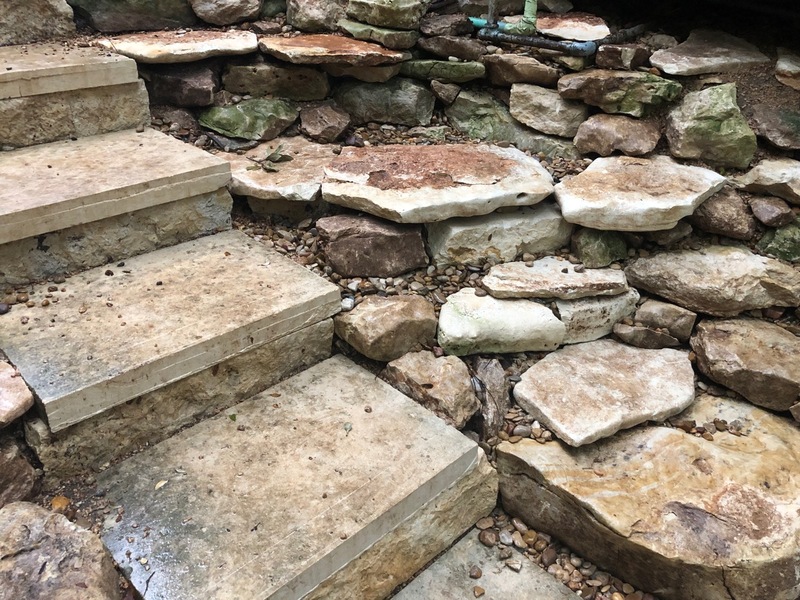 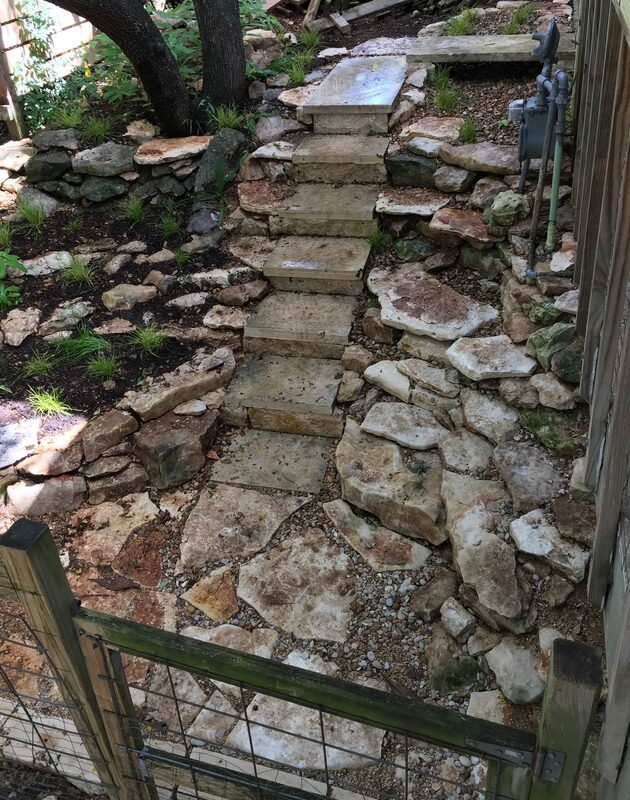 Most recently, we transformed a rubble side-yard slope – the view from the kitchen – into a visually-appealing and functional set of stairs and beds that also had to take punishing runoff from the roof. 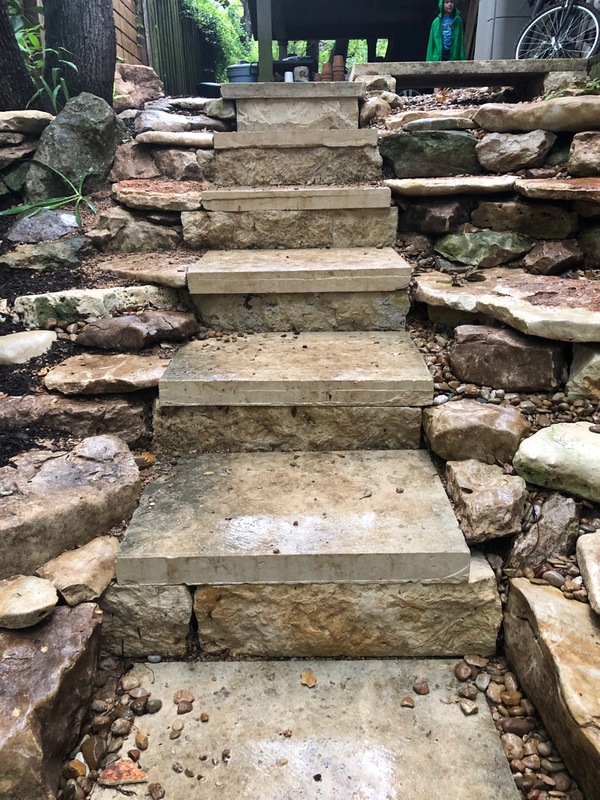 Most of the stone we used came from onsite, save the Leuder’s and block for the steps. 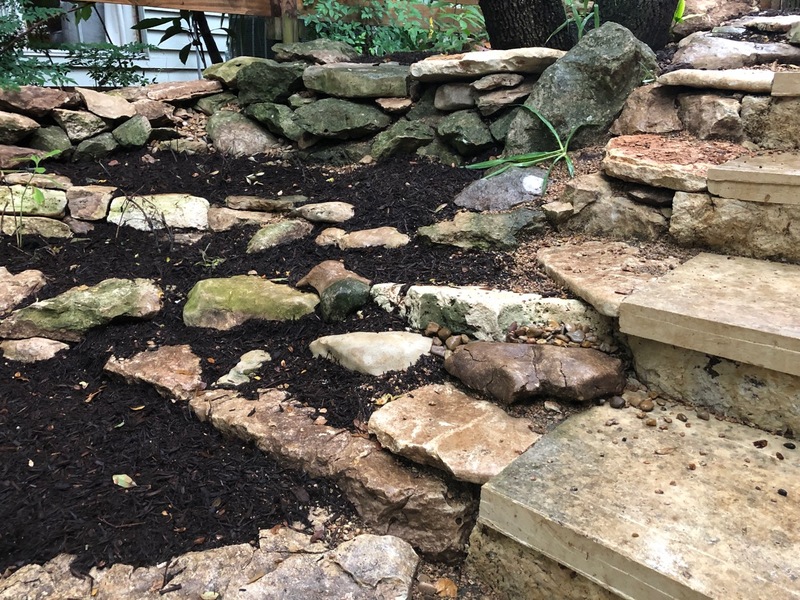 Top of side steps and beds. 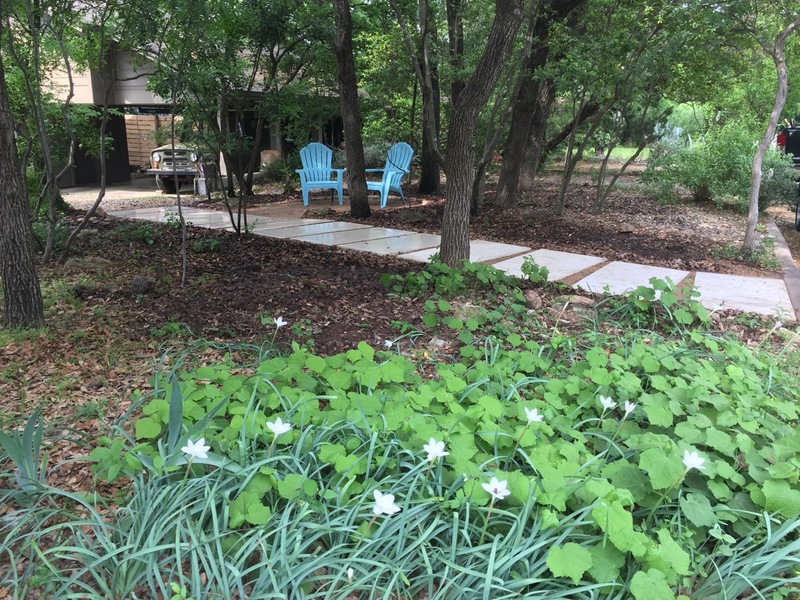 With the sedges and ferns starting to fill in.